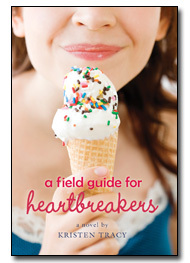 This week's teaser comes from Kristen Tracy's upcoming release A Field Guide for Heartbreakers. """No. You make heartbreak sound like hemorrhoids," I said. Oh I like this one! Thanks for sharing! Great teaser, I hadn't heard of this one but it looks like I'm gonna have to add it to the TBR, thanks for the rec! Cute...very cute! Here is my Tuesday Teaser for Hard Magic. Ha ha nice teaser. Can't wait for your review!